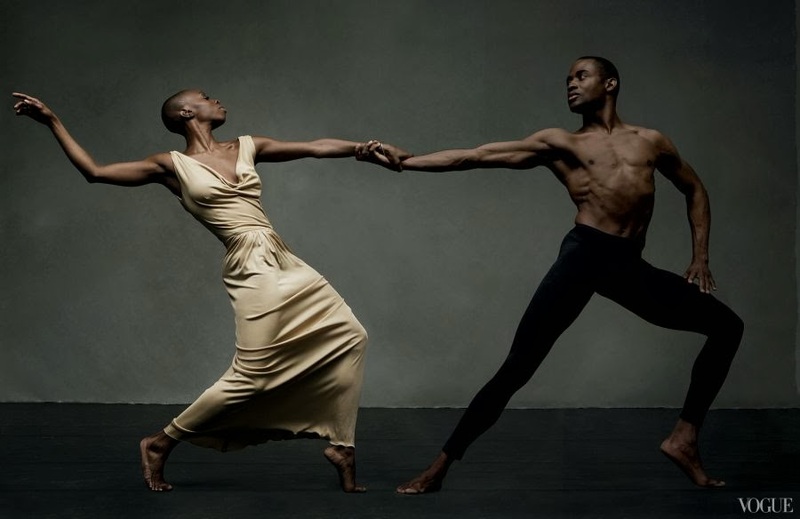 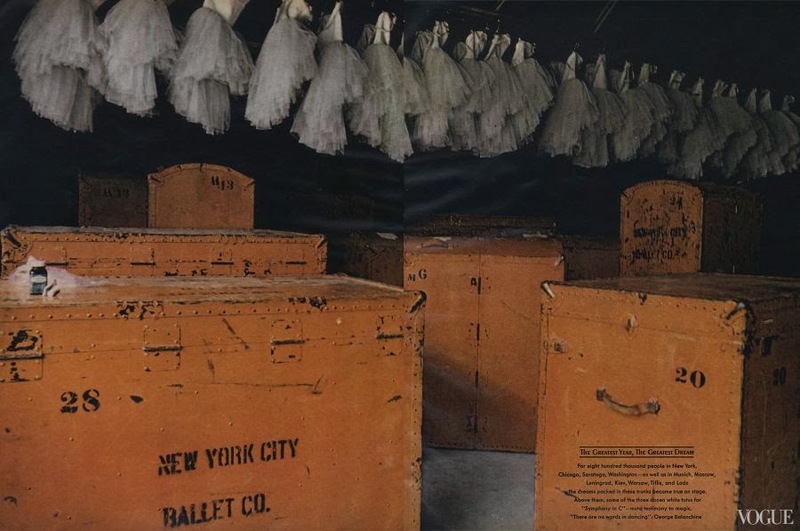 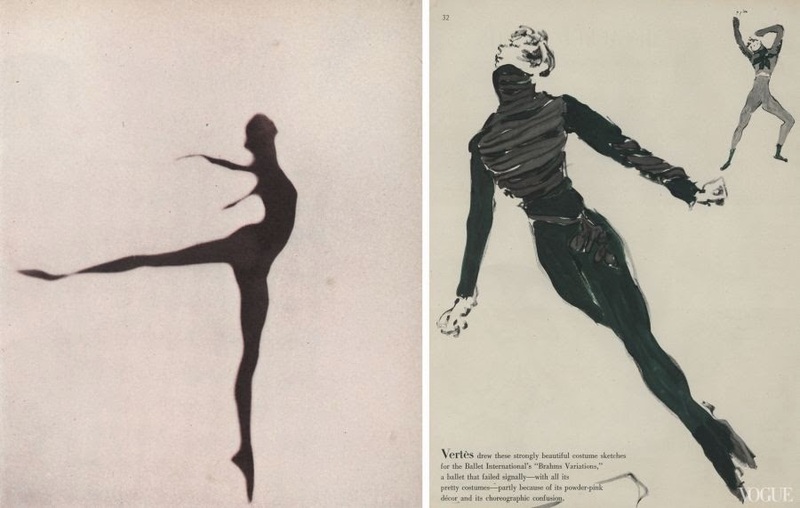 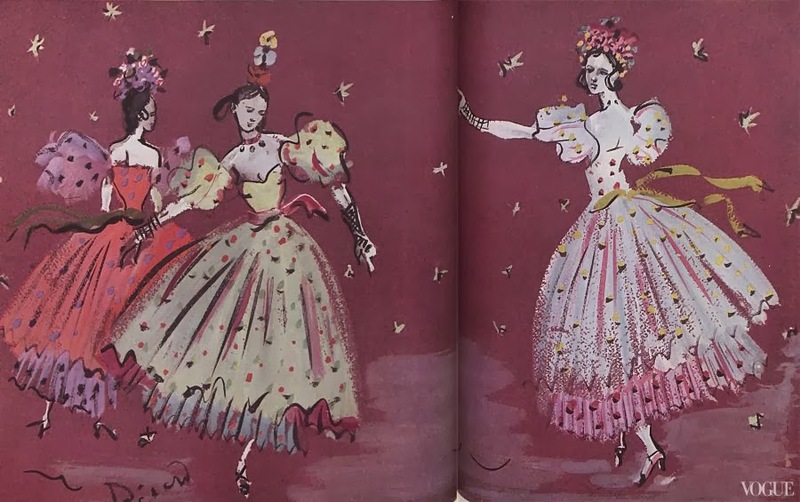 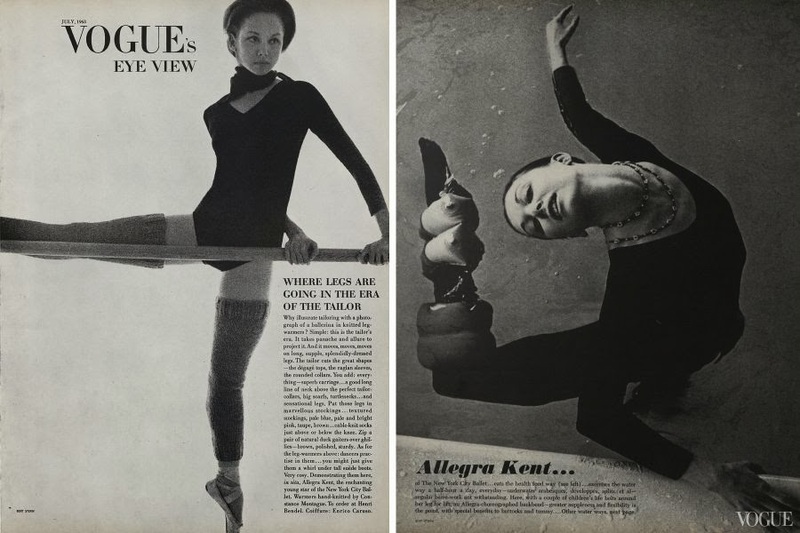 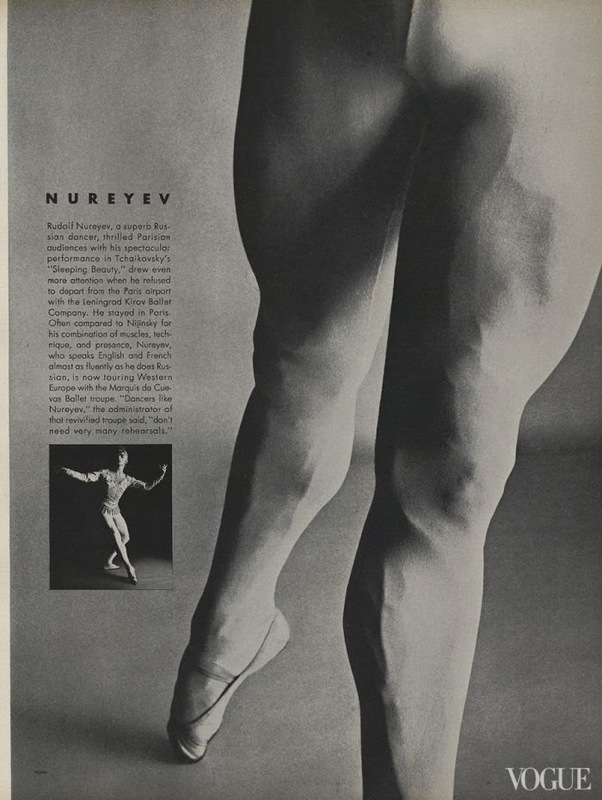 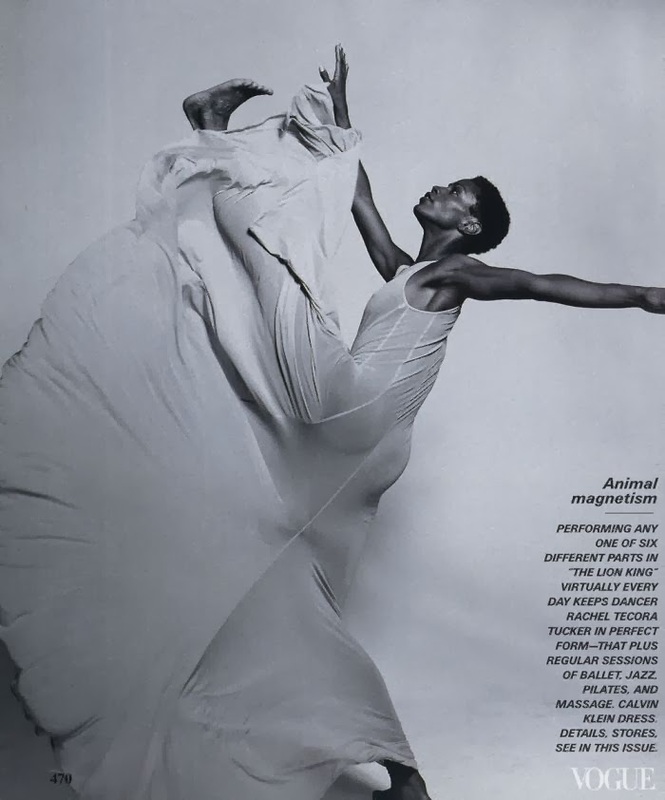 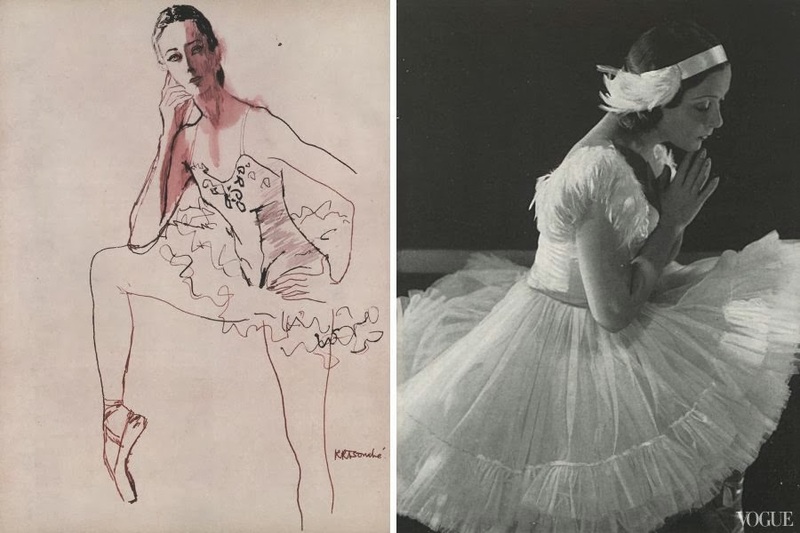 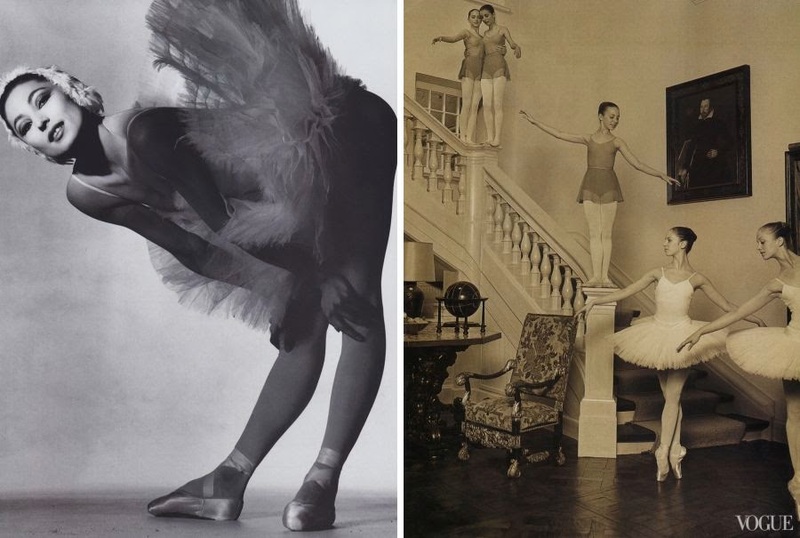 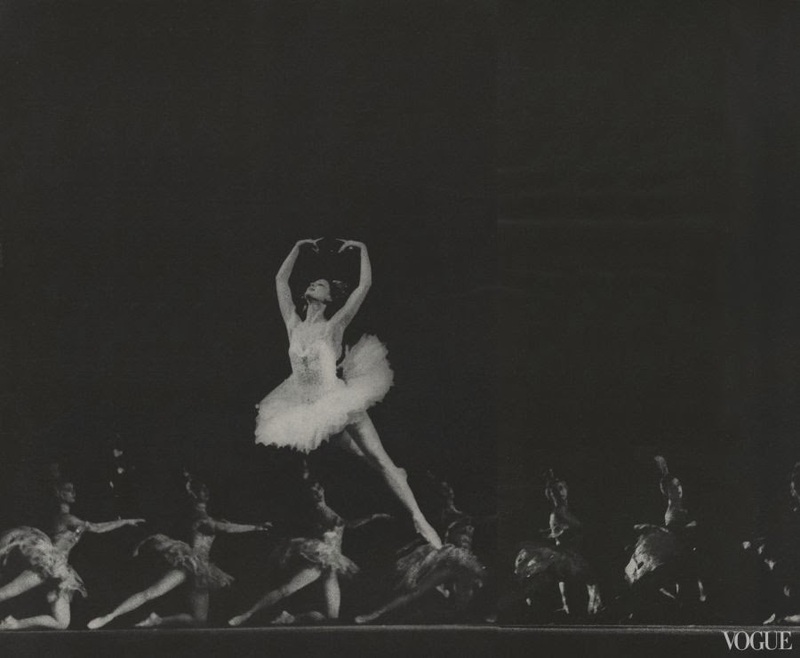 From the Archives: Ballet in Vogue by Laird Borrelli-Persson. 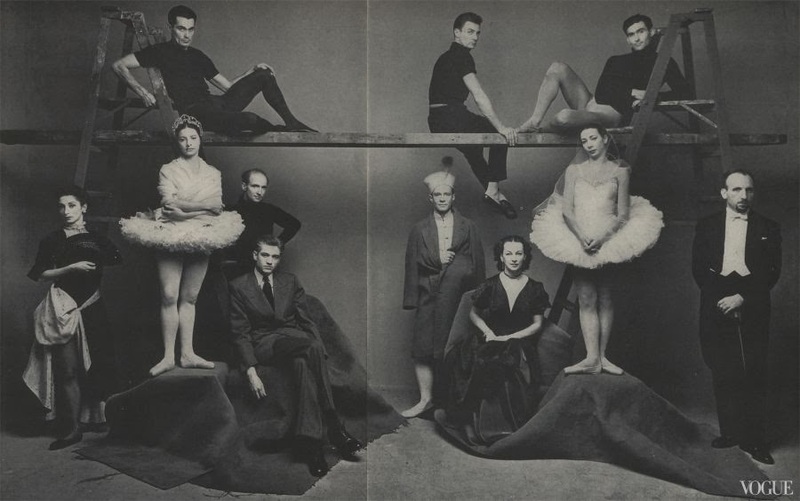 Clockwise from top left: Alexandra Danilova and Frederic Franklin, Igor Youskevitch, Marie-Jeanne, Rosella Hightower, Léonide Massine; George Skibine, Maria Tallchief, Yurek Shabelevski. 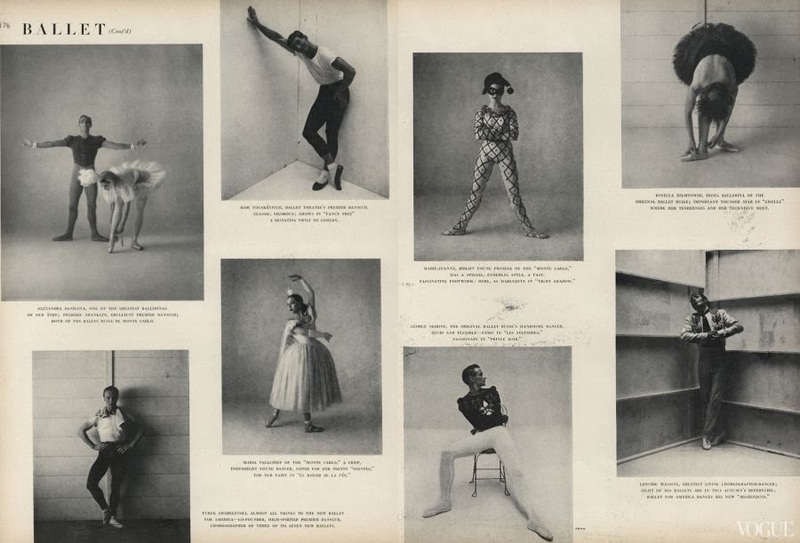 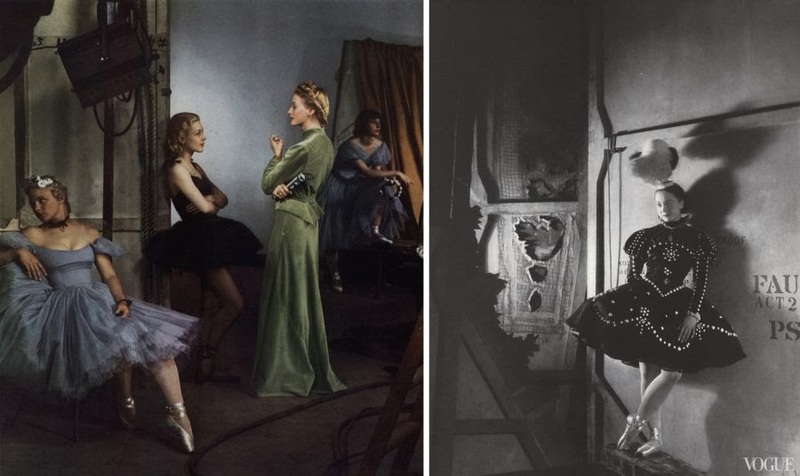 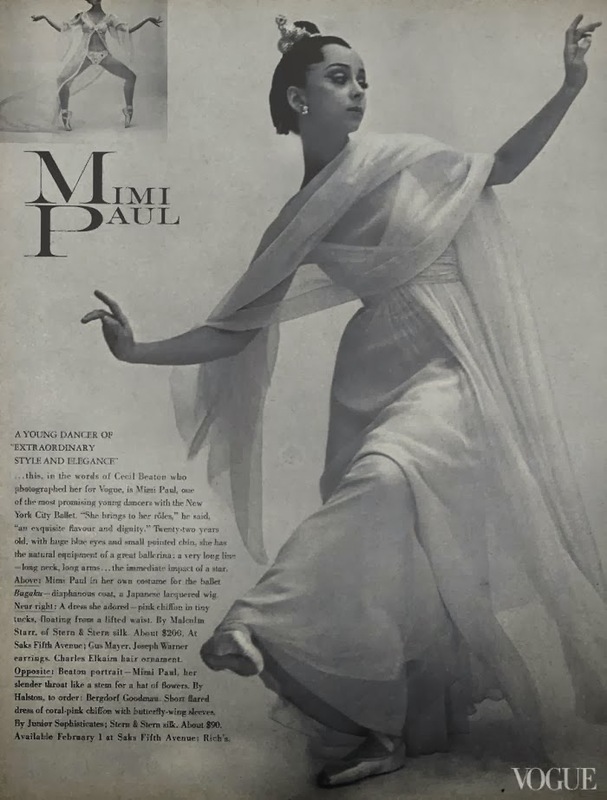 Photographed by Irving Penn, Vogue, October 1, 1946.